Laura Brassington is a second-year PhD student in the HPS Department at Cambridge. Before completing her MPhil at Cambridge, she obtained her MA from the University of St Andrews. It was there that she first started reading about working-class engagement in science in the nineteenth century. Her PhD thesis continues to explore similar themes, through the letters exchanged between Charles Darwin and some less well-known correspondents, who had to navigate social and economic boundaries in order to communicate knowledge. 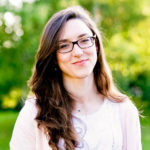 Déborah Dubald is a fourth-year PhD researcher at the European University Institute, under the supervision of Prof. Stéphane Van Damme (EUI, Florence) and Prof. Antonella Romano (Centre Alexandre Koyré, EHESS, Paris). In her dissertation, she looks at the creation of municipal natural history museums in three French cities, Lyon, Nantes and Toulouse, from 1800 to 1870. More specifically, she questions the municipalisation of scientific displays of natural knowledge and how they partake in a strategy of visibility and identification for the local municipal and scholarly elites. Thereby, she also questions long-standing views over spatial hierarchies such as core/periphery and Paris/province. Prior to that she was trained in History at the University of Strasbourg under the lead of Prof. Jean-François Chauvard and Prof. Isabelle Laboulais. 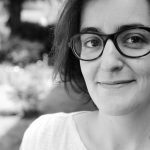 She is the co-founder of the History of Science working group (http://euihos.hypotheses.org – Twitter @eui_hos) at the European University Institute, which hosted the 2017 postgraduate BSHS conference. 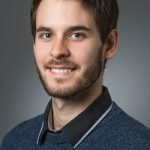 Thomas Erslev is pursuing a doctoral degree at Aarhus University. His project, “The Brain as Object – An Intellectual History of the Scientific, Cultural and Ethical Meanings of the changing Ontological Status of the Brain”, studies the neurosciences in Denmark in the last half of the twentieth century through the case of a Danish brain collection. The collection finds itself at the intersection of science, policy, ethics, public opinion and economy and functions as a prism for a broader structural analysis of the role(s) of the brain in many spheres in the period. Thomas holds a BA in intellectual history from Aarhus University and an MSc in HSTM from the University of Manchester. My research on Typewriters and Commerce in Scotland (1870s-1920s) utilises the extensive typewriter collections held by National Museums Scotland and Glasgow Museum Resource Centre; and is supported by Scottish archival sources relating to the marketing, retail and use of writing machines during the first fifty years of commercialisation. I graduated from the University of Westminster with a BA in Modern History in 2015, followed by an MA in Public History in 2016. 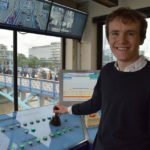 During my undergraduate and masters research I maintained a keen interest in the public history of science and technology, working on various projects at the Royal Institution of Great Britain and the Tower Bridge Exhibition. Since starting my PhD in September 2017, I have presented at numerous science and technology events, including the BSHS Postgraduate Conference in April 2018. Rebecka Klette has recently completed an MA in Victorian Studies at Birkbeck, University of London, and is currently finalising her phd research proposal to be submitted to Birkbeck in 2016, concerning the reception and incorporation of degeneration theory into Scandinavian racial biology, literature, cultural debate, and satire, 1870-1922. 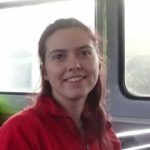 I am a third-year PhD student in the Department of History and Philosophy of Science, Faculty of Sciences, University of Lisbon and I work on the broad subject of natural history (zoological) collections and museums in the 19th century. I am interested in the practices of collecting and exhibiting, and the cultural, symbolic and political meanings of the knowledge produced and negotiated from such collections and in such institutions. Specifically, my thesis focuses on the zoological collections that were gathered in Lisbon in the second half of the 19th century and that were collected in, what were at the time, the Portuguese territories in Africa. By focusing on the construction of biogeographic knowledge and the contemporary maintenance of the Portuguese empire, my thesis aims to problematize the relationship between taxonomy and imperial discourse, practices, and policies. 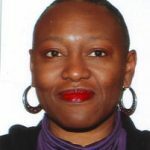 Yewande Okuleye is completing her PhD in the history of the re-medicalisation of cannabis(1992-2016) at University of Leicester, England. My research investigates the confluence of factors which facilitated the re-medicalisation of cannabis as a medicine despite the political, medical, social, and cultural barriers which limited the scientific research into the medicinal potential of the cannabis plant. My project seeks to examine how different actors negotiated these restrictions. Oral history interviews have been conducted with key actors within the scientific, medical, legal, and lay communities with the view to write a more nuanced history which foregrounds voices from the margins. I have integrated a public engagement aspect into my PhD which explores the visual and material culture of science and medicine, as entry points to discuss aspects of my research. I volunteered as a STEM Ambassador and I am keen to develop and collaborate on projects which encourage BAME students to engage with science. Yewande has a degree in Biochemistry and worked as a research scientist at the Body Shop. Yewande was part of the founding team which developed the cosmetic science degree course at the University of the Arts, London where she lectured cosmetic chemistry. Yewande completed a Masters in History of Medicine at UCL Wellcome Centre before she commenced her PhD. 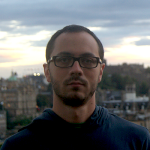 I’m a PhD student in Science and Technology Studies at the Science Studies Unit, University of Edinburgh. I’m currently working on the emergence of laws of nature during the Scientific Revolution and particularly during the British reception of Cartesian lois de la nature until Newton’s Principia. I have been working on the early modern science and philosophy since my undergrad days, particularly on Newton’s natural philosophy, its roots and its immediate reception. I completed my MPhil on the problem of language in Thomas Hobbes, trying to make sense of his claim that human language is a tool by means of which we create things; I checked how this idea was applied to his natural philosophy and to his mathematics and the role it played in his major controversies. After that I moved to do some research on the reception of Newtonianism into colonial Spanish territories in South America, particularly in New Granada (1760-1808) in José Celestino Mutis’ Royal Botanical Expedition. Finally, I returned to the European stage of the Scientific Revolution, trying to fill the gap on the origin of laws of nature in the seventeenth century. 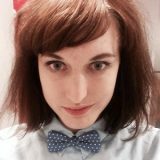 Ellen Packham is a PhD student at the Centre for the History and Philosophy of Science, Technology and Medicine in the University of Aberdeen. Her research explores the literary habits of British professional engineers in the period between 1750 and 1900 considering the genres of writing adopted, adapted and created by engineers, their transformation over time, and their placing within broader literary, scientific and practical cultures. Ellen has a first degree in chemistry and completed an MLitt at the University of Aberdeen in 2017, thanks to the support of a BSHS Master’s Degree Bursary. Johanna is a PhD candidate at the National Centre for Indigenous Studies at the Australian National University. 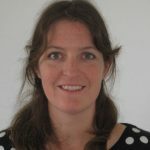 Johanna holds a Master of Arts in Museum Studies (International Scholarship) from the University of Leicester, UK, and a Master of Arts in Public History from the University of Technology, Sydney, Australia. 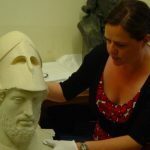 Johanna has worked as a social history curator at the National Museum of Australia, the National Archives of Australia and the Museum of Australian Democracy at Old Parliament House from 1999 to 2009. In 2009, Johanna began her career in the Australian Government where she has held various positions including managing the Museums and Repatriation Section, and serving a term as the Departmental Liaison Officer at Australia’s Parliament House. In 2015, Johanna was awarded the Secretary’s Award for Academic Achievement, Attorney-General’s Department, “for dedication to the creation of world leading policy advice in the areas of museum collections and repatriation of Indigenous human remains”. 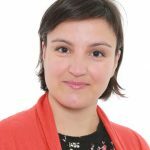 Johanna’s research interests are museological legislation and ethics, interpretation, private collectors of cultural material and human remains and British and Australian medical professionals of the 19th century.